(DOVER, Del.—Feb. 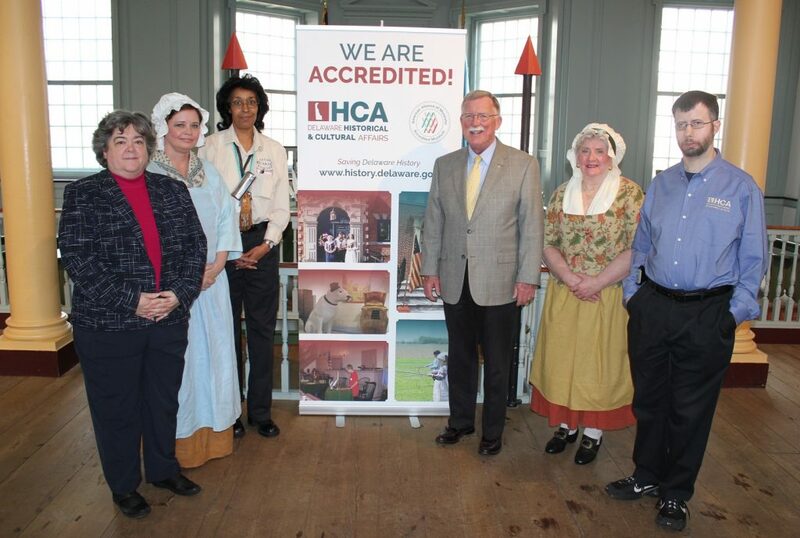 14, 2018)—State Sen. Brian Bushweller recently visited The Old State House, located at 25 The Green in Dover, Del., to celebrate the accreditation of the museum system of the State of Delaware by the American Alliance of Museums, the highest recognition afforded to museums in the United States. Administered by the Division of Historical and Cultural Affairs, the system includes five state museums—the John Dickinson Plantation near Kitts Hummock; the Johnson Victrola Museum and Old State House in downtown Dover; the New Castle Court House Museum; and the Zwaanendael Museum in Lewes—and the state’s archaeological and historic-objects collections. 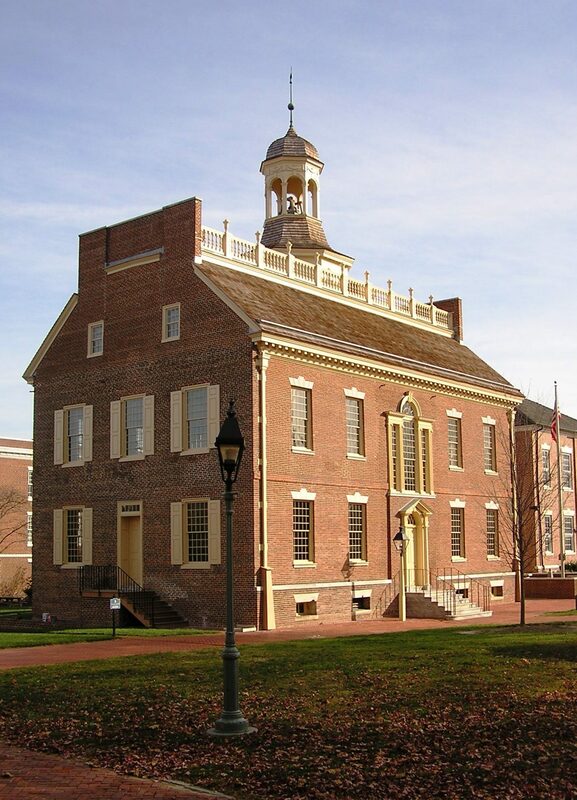 Completed in 1791, The Old State House is one of the earliest capitol buildings in the United States, serving as the home of Delaware’s legislature until 1933 when the General Assembly moved to larger quarters in Legislative Hall. It features an 18th-century-style courtroom, governor’s and county offices, and chambers for the state legislature. The building is situated on Dover’s historic Green, a partner site in the First State National Historical Park. The Old State House is open for visitation and tours from Monday to Saturday, 9 a.m. to 4:30 p.m., and Sunday, 1:30 to 4:30 p.m. Admission is free and open to the public. Go to the following for a comprehensive, long-term calendar of division-sponsored events. For additional information, call 302-744-5054.